NEW ROUTE to replace southern section of Service 141. Saturday shopping hours extended from Catford garage to Bromley North Station via Route 208. MS Catford (TL) allocation added. Mon-Fri service diverted at London Wall to Liverpool Street instead of Finsbury Square. this was part compensation for Red Arrow 502 withdrawal. Withdrawn south of Brockley Rise and withdrawn completely on Saturday. TL allocation withdrawn. 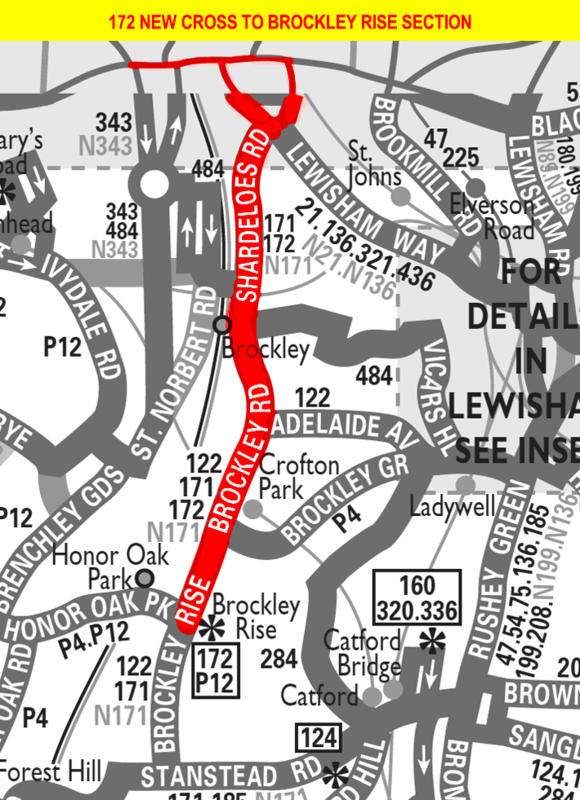 This was part compensated by diversion of Route 171 to Catford garage instead of Forest Hill. rerouted at St Georges Circus to St Pauls via Waterloo - Blackfriars routeing to Liverpool Street replaced by revised Route 100. Converted to low floor double deck. Rerouted northbound at Elephant & Castle via new contra flow bus lane at London Road. Enviro9555 waits at the new stand at Clerkenwell Green, note the board in the windscreen so blinds not available yet.